Coyote hunting and trapping regulations are very liberal in South Carolina, and hunters can shoot them year-round and even at night with some restrictions. Coyotes are a problem for native wildlife, hunters, and landowners, and they are here to stay in South Carolina. Over the years, the SCDNR has changed its stance from believing coyotes weren’t much of a threat to native wildlife to understanding that they are, in fact, a major threat. And they’ve loosened hunting regulations on the canines to make it easier for hunters to attempt to keep them in check. But still, in discussions about hunting coyotes, many hunters seem confused as to what options they have. “The state needs to let us hunt them at night,” or “the state needs to let us hunt them year-round,” are just two often-heard complaints that show some hunters don’t understand just how liberal the coyote hunting regulations are in South Carolina. 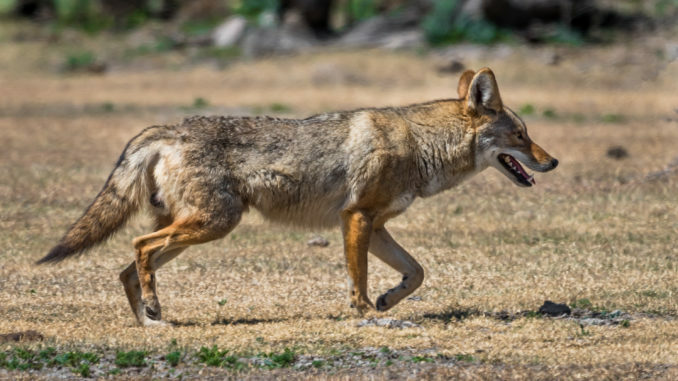 Anyone with a South Carolina hunting license is allowed to hunt coyotes all year long on private land, and hunters can use any legal firearm, bow, or crossbow. 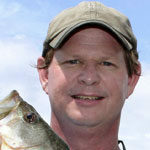 Bait and electronic calls are also permitted. And with certain restrictions, hunters can even hunt coyotes at night on private lands, year-round. This requires registering with the SCDNR, but it doesn’t cost anything extra, and registering is a fairly simple process. Night vision and artificial lights are also legal. Click here to register your property for night hunting coyotes. On the state’s WMAs, hunters are allowed to hunt coyotes during daylight hours when that particular WMA is open during any open hunting season, and they are allowed to use any weapon that is allowed on that WMA. These regulations vary from one property to another, so make sure to check on the WMA you plan to hunt. Whether hunting on private or state-owned land, hunters are not subject to any daily or seasonal bag limit. According to Charles Ruth, deer and turkey program manager for SCDNR, the most effective way to keep coyotes in check is through trapping. And while the trapping season only runs from Dec. 1 to Mar. 1, property owners may obtain depredation permits, which are free, and allows the property owner to trap all year, and without a separate trapping license. Certain regulations do apply to trapping coyotes, and you can click here to see the list of rules. So what about landowners that don’t hunt other game, but want to protect their farm animals or avoid other damage caused by coyotes? Why would they need to purchase a hunting license? They don’t. Depredation permits are also available to those landowners who want to shoot coyotes on their own private land. These permits are available in 30 day increments, and can be obtained for free at any SCDNR office, through a conservation officer, or by phoning the agency at 803-955-4000. The property owner is also allowed to designate another person to shoot coyotes on their land. One exception to needing a permit or license is any property owner who will be trapping or shooting coyotes within 100 yards of his residence, or designating someone else to do it. This is perfectly legal as long as you are still on your own property, and it’s legal to discharge a firearm in your location. For those who would rather pay someone else to take care of hunting or trapping coyotes on their land, a number of Wildlife Control Officers are available throughout the state. These services usually charge a fee. They are not affiliated with SCDNR, but the agency does keep a list of these companies for the public’s convenience. Click here to see this list. If you want to shoot or trap coyotes, you can do it all year long, and at night with some restrictions, and with no bag limits. It’s difficult to imagine the state of South Carolina could make it any easier for hunters to do their part to help keep these non-native animals in check. Small game hunting –– what’s in season?